The Restriction Timeouts add-on allows site admins to specify a date and time when restricted content will have its restrictions removed, making it available to everyone. 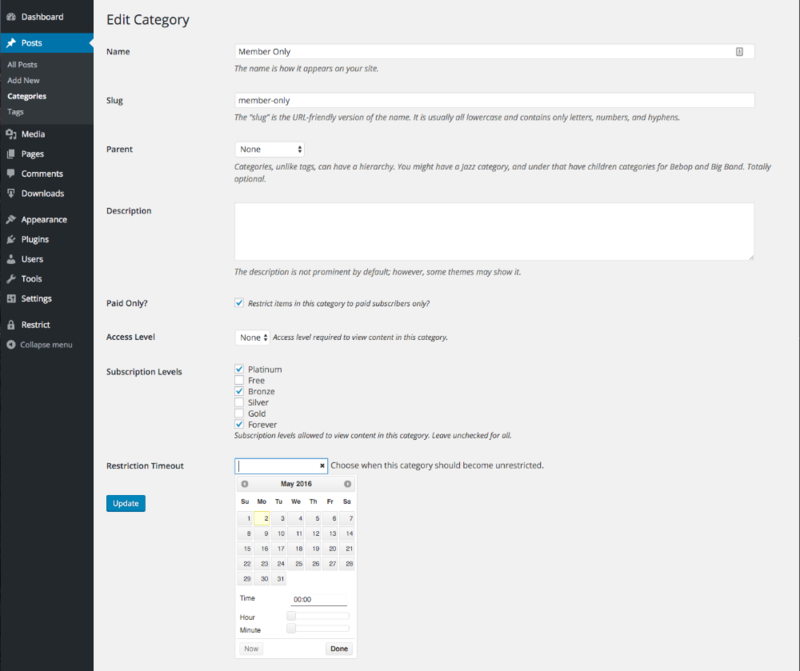 Once the add-on plugin is installed and activated, a date and time field will be added to the Restrict this content metabox and also to the category/tag/term edit screen. 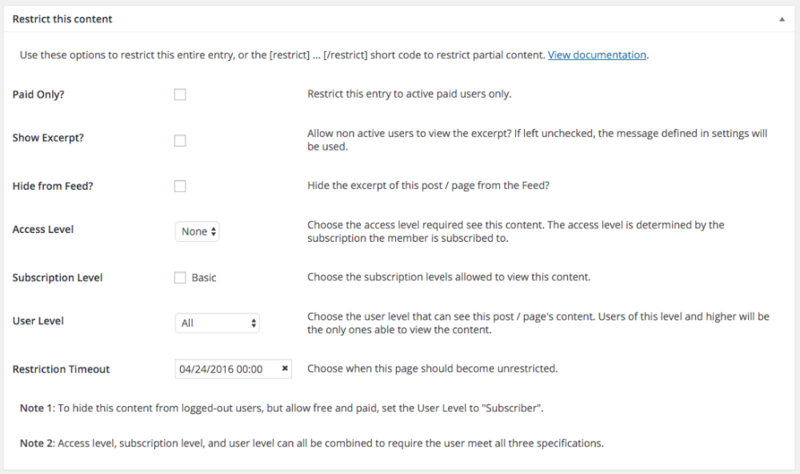 To set the date and time at which the restrictions on a page will be removed, navigate to the edit screen for the page and then locate the Restrict this content metabox. At the bottom of the box will be a field called Restriction Timeout. Click into the field and a calendar and time picker will be displayed. Simply select the date and set the time of day or night that you wish for the restrictions to be removed. Once that date and time is past, the restrictions on the page will be removed. Restriction timeouts can also be configured at the category, tag, and custom taxonomy term level. To set a timeout, navigate to the edit screen for the category, tag, or term. On that screen will be a field called Restriction Timeout. Click into the field and a calendar and time picker will be displayed. Simply select the date and set the time of day or night that you wish for the restrictions to be removed. Once that date and time is past, the restrictions on the category, tag, or term will be removed. Note: this will remove the restrictions on the category, tag, or term. It will not remove restrictions set on posts/pages within the category, tag, or term.